and olive groves. Finerri’s olive grove produces organic olive oil. town, where several artistic and historical sites are preserved. There is a pool overlooking miles of countryside. and Malcolm a teacher from New Zealand. you can enjoy relaxing massages to add extra relax to your vacation. cooking classes with the help of a local English speaking chef. Courses are tailored to your desires. way to get in touch with this natural environment. available at a nearby rental shop. 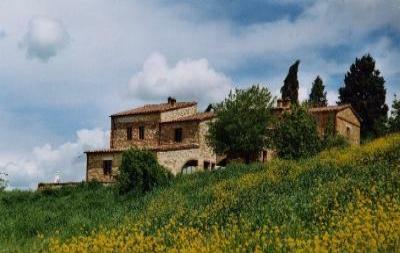 Your Tuscan horseriding spot is just 8km away. Enjoy playing tennis at 5km. with the owner, who is a member. You have never seen Tuscany from this perspective! Take advantage! The closest ones are just 15min away aty Rapolano Terme.